Whether you come for skiing or summer fun, beautiful Sun Valley offers recreational activities galore. Nestled in the spectacular Rocky Mountains of central Idaho, most of the action takes place around the Sun Valley Resort and its two mountains: Bald Mountain, ideal for expert skiers or snowboarders looking for steep, challenging runs, and Dollar Mountain, with gentle slopes that are perfect for beginners. Off the slopes, more winter fun awaits. Try dog sledding through miles of white powder or spend an afternoon ice fishing in the Big Wood River. Warm up at the Ketchum/Sun Valley Heritage and Ski Museum which features an exhibit on the history of skiing and information about Ernest Hemingway's time in Sun Valley. 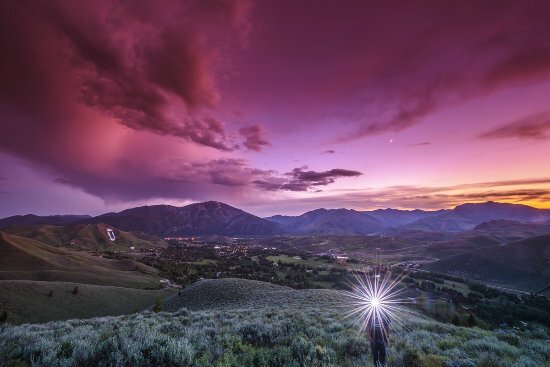 Summer in Sun Valley offers just as many adventures. The Sawtooth Wilderness Area boasts over 200,000 acres of natural splendor, with opportunities for swimming, fishing, mountain biking, white-water rafting and more.